It wouldn’t be a summer Saturday in Albany without the farmers’ market in the parking lot of City Hall and on Fourth Avenue in front of the courthouse. And one of the attractions is that usually there’s music too. Last week, a group calling itself Calamity Jazz entertained those who stopped to listen for a while, including me. Check the video for a sample of what we heard. Different musicians perform each week, adding an element of surprise, if you will, for regular market customers. 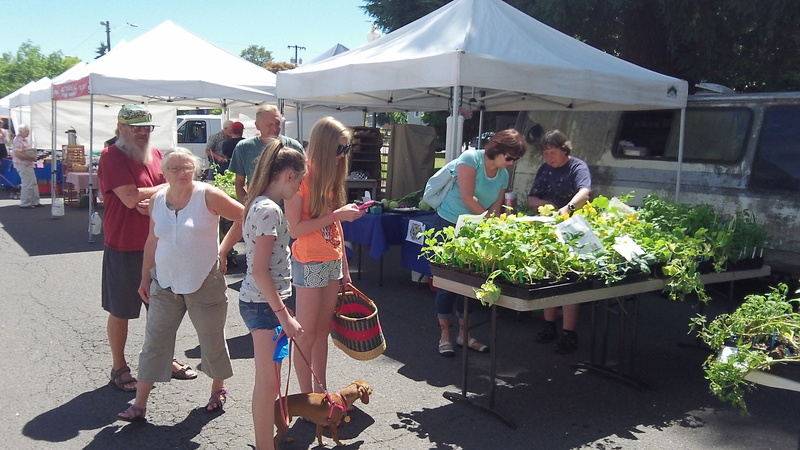 The Saturday market runs from early spring to late fall, and I’m always glad that growers and suppliers from around the valley make the considerable effort to show up week after week, bringing seasonal farm products as well as baked goods and other things.